Image 4 has installed the latest version of the Seiko ColorPainter large-format printer. Featuring market-leading print head technology, color controls and print capacity, the Seiko printer enhances product quality and throughput for the design firm. Software control features allows for 24/7 file and print management from remote locations. 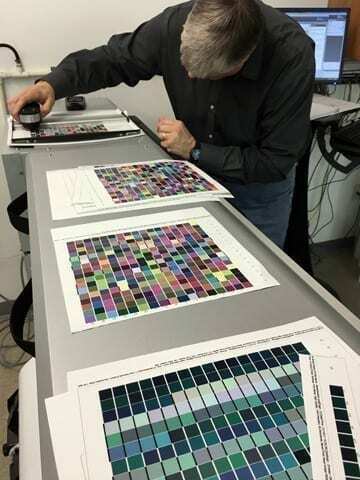 “Adding the Seiko ColorPainter printer will triple our daily roll-print capacity while significantly reducing maintenance and color management time”, said Cody Furness, Image 4’s Production Manager, “Our customers have always known us for the quality of our production and the Seiko allows us to deliver even finer large-format graphics, on shorter deadlines”. Consistent with Image 4’s philosophy of Environmental Sustainability, the Seiko ColorPainter uses a non-VOC, low-solvent ink system combined with extremely high-efficiency laminar airflow heaters to print and bond ink to a variety of substrates including banners, adhesive substrates, and Monadnock Paper’s ENVI(tm) line of environmentally sustainable fiber-based print materials. Quality Standards development, color calibration and materials testing is nearly complete and full production process will begin on January 3, 2017.